Ohmstudio is the new DAW on the block. What sets this one apart from the others is the fact that it offers online collaboration. This gives you the ability to work on projects in real time with other musicians at remote locations. For example, an online musician in Ohio can work on a project with another musician in California. 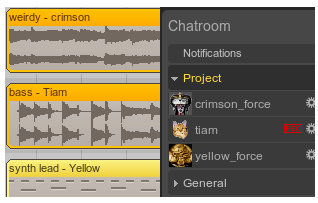 The software will allows both of you to record and edit the same project at the same time! Currently, the software is still in beta version. That is why they are offering this limited opportunity to use it for free. You can download a copy by going to www.ohmstudio.com. Personally, I don’t know if its worth the effort to learn a new DAW, as I currently love the one’s I have. So if anybody has tried this software out, please leave a comment on this post, and share your experience. Who knows? It might actually be a good tool for working on projects with other people.